This necklace and earrings gift box set is from the Mikimoto Ginza collection. Stunning South Sea pearls are used to create a special edition 16" cultured pearl strand with an 18kt gold and diamond clasp, and matching 10mm studs. A commemorative card and "The Pearl Necklace", with text by jewelry historian Vivienne Becker. 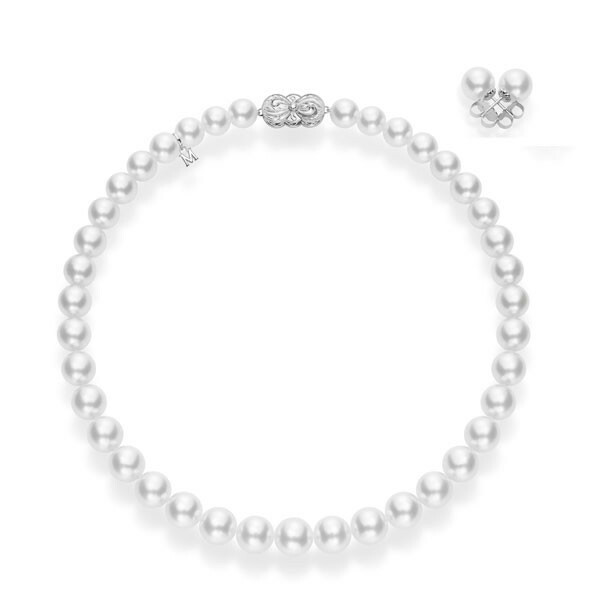 You will be set for any occasion when you wear the jewelry in this Mikimoto gift set.